Manuel Pessoa de Lima / Paulo Dantas / Isabelle Stragliati / Pom Bouvier b.
Interfaces is an international, interdisciplinary project focusing on bringing new music to an extensive range of new audiences. It involves a partnership of organisations from a wide range of European countries having a broad spectrum of experience in fields such as performing, multi-media exhibitions, new media, acoustic and electro-acoustic research and education. This trans-sectoral approach is the key to opening up new perspectives on both the creative dimension of the project and the central objective, which is to engage new audiences of all ages and those potential audience segments which, for a variety of demographic or cultural reasons have not yet been exposed to the music of our time. The Interfaces network will carry out a very wide range of actions. For example new performance formats in new innovative spaces and across artistic disciplines, educational activities including physical outreach and innovative online applications, research on audience drivers and conferences, artist residencies and more. 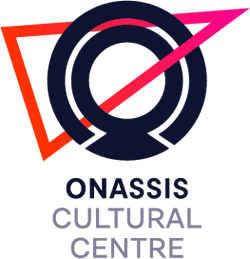 The coordinator of the network is the Greek Onassis Cultural Centre. Q-O2 acts as a joining partner. The Interfaces project is made possible thanks to the support of the Creative Europe Programme of the European Union. Q-O2 hosts 11 residencies in this framework, which can be followed on this BLOG.